MySpace was the social network and then came along Facebook. Some would suggest Murdoch bought the wrong one, others that he bought the right one and that is why today its in different position. It looks like MySpace has finally realised that it has lost the battle with Facebook and now seeks to reposition and redesign itself from the world's largest general-purpose social network to one focused at musicians and music lovers. Artists with flare and some design can visually convey their personalities more on MySpace than through Facebook's corporate colour and presentation and as long as the artist is there the fans will be there too. Artists will get three choices of design; the old- MySpace design, a magazine-like format, or a video format with mobile versions to follow later this year. Meanwhile, Facebook still has its growing user community which in true social trems creates even greter growth. So the question is whether musicians want to live in a ring fenced social network or project themselves to a bigger community. If the later then MySpace is going only one way and that isn’t up. The interesting question is what MySpace will do with all the user information from those who drop of their new site? Why not reduce those mobile phone base stations that blot up our landscape and give everybody a wearable sensor that could make people base stations? The research programme by engineers at Queen’s Institute of Electronics, Communications and Information Technology on developing body-centric communications is based on small sensors being integrated into items such as smartphones. These sensors could communicate with each other to create human to human networks and interact to transmit information and mobile network connectivity. Our Good friend, author and futurist Ray Hammond shared with us some more interesting developments this month. We have all seen the rise of the Bluetooth enabled mobile with people seemingly talking to themselves whilst a blue light flashes in their ear. We lso remember well how this potentially harmless development was taking a sinister step forward in the recent Dr Who TV series but now we have a Bluetooth-enabled camcorder that is attached to the earpiece to give always available Video on the go. The Looxcie camcorder features dual processor technology that allows simultaneous or independent video and talk modes and its 4GB of storage can hold over five hours of MP4 HVGA resolution at 15 frames per second through an f2.8 lens. Users simply have to switch the unit on to start to document their lives and upload the images to social networking video sites and comes with software to help optimize power use, automatically correct for light and colour, and format video for mobile devices. 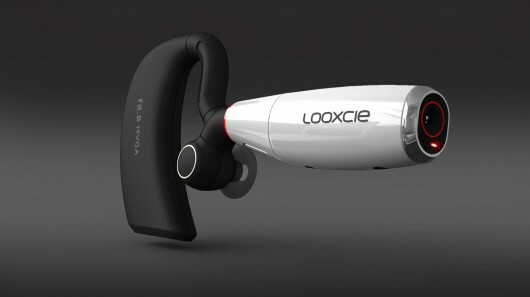 The Looxcie claims a wireless range of some10 meters and is compatible with most Android 2.0 smartphones. It also has a micro-USB for direct upload of clips to a computer and an auto share mode where live video feeds can automatically be sent to pre-configured friends and family. It seriously could provide not only novelty and fun but could be used to document incidents, concerts, talks and provide yet another headache for those wishing to fight bootleggers. Looxcie is available now for a suggested retail price of US$199. A new humanoid, singing robot, the HRP-4, has been unveiled in Japan. The robot, nicknamed 'diva-bot', has learned to sing by mimicking a human singer, enabling 'her' to sound natural and to sing with more expression than any previous robot. The video shows just how far robotics have come and how close they are to mimicking everything human. Researchers at Tel Aviv University's School of Physical Engineering have developed nano-sized optical gyroscopes that can fit on the head of a pin without compromising the device's sensitivity. These gyroscopes will have the ability to pick up smaller rotation rates and deliver higher accuracy. Nano-gyroscopes when integrated into common mobiles could provide much improved tracking function over existing GPS systems and enable you to track your exact position even without the GPS signal. In medicine they could be used inside camera capsule to improve the doctors ability to control and move it precise locations within the body. Is Time Up On The Wrist Watch? Do you wear a watch today and is it seen as mere decoration and jewellery or a practical tool? Some people today go without the previous obligatory wristband and instead use their mobile to tell the time, be an alarm-clock and tell them where they are. So do you need a compass, watch, MP3 player, camera, video recorder, clock, sat nav, radio? The smartphone is clearly redefining gadgets we previously saw as standalone. Mintel, now claim that in a survey of more than 1,500 people in the UK, 14% said they had no need for a watch. If that were applied across the UK it would amount to some 7.2 million watchless people. Between the ages 15 to 24 the figures even doubled. Its interesting that the wristwatch came from the World War 1 trenches where soldiers tied their pocket watches to their wrists with leather straps. It then became ubictious with self winding mechanisms. Then came the designer must have at one end the Swatch and the other the Rolex. 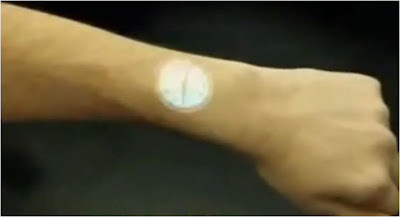 Personally we like the Approach of Pravan Mistry’s projected hand watch. A US federal court has issued a "permanent injunction" against LimeWire one of the world's most popular peer-to-peer filesharing websites with some 50 million monthly users. In doing so it has ruled that LimeWire intentionally promoted a "massive scale of infringement" by enabling the sharing of thousands of copyrighted works by its 50 million monthly users. The legal battle witj the US music industry has taken some four years to conclude been shut down after a four-year legal battle with the US music industry’s RIAA (Recording Industry Association of America). 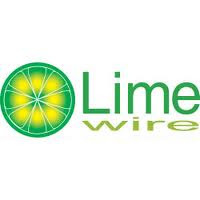 Mark Gorton, a former Wall Street trader, founded LimeWire in 2000 and it is claimed by the RIAA to have cost the music industry hundreds of millions of dollars in lost revenue. The site was claimed by the NDP Group to be used by 58% of people who have downloaded music from a peer-to-peer network in the year from May 2009. The level of damages faced by the site's New York-based parent company, Lime Group, will be decided in January 2011. Today we read in the Wall Street Journal about a dispenser that is being used in the suburbs of St. Paul (see above). The library is a new branch with no librarians, no card catalogue and where the members merely collect their choices. Library Express is based on the same concept as the Korean dispenser. Members select and order online and then pick up there books and DVDs from lockers outside city hall. 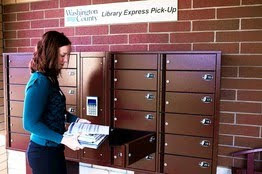 This first Library Express installation is to be followed by similar offers in Arizona, Florida and the original installation is adding some 20 more lockers next month. Its fitting that at a time when people are debating the future and cost of the public library in a digital world, some are now taking positive steps to offer extended services and embracing change for the physical book. 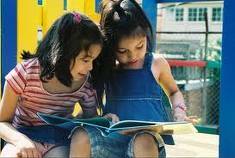 Imagine you want to share a book with a friend. Today you simply give them your copy and hope that they will both enjoy it and give it you back. This summer we were introduced to the infamous ‘Girl with the Dragon Tattoo’ by a friend who lent us the book for a holiday read. However, same doesn't work in the ebook world. Amazon once again breaks new ground and starts to connect the dots. They have announced that this year, they will be introducing ebook lending on the Kindle platform. A user can simply lend a book to another Kindle device or app user. The loan can be only made once and for a restricted period of 14 days. During this period the access will be restricted and lender will be unable to read it. The key here is the kindle platform and the ability Amazon has to control access but this clearly starts to open up many opportunities down the road and give ebook the potential to offer the same flexibility of rights given physical books. The restriction will be the service today but there is no technical reason why it can’t be extended across services. It is not difficult to start to see the opportunity to resell ‘used’ ebooks! The new service will be dependant on the rights holder agreement for individual titles to be loaned. There is no mention of a fee for the service so it is assumed it will be free. Finally we must also recognise that Amazon will soon have a secondary source of valuable information on not only who lends what but what books are starting to catch that elusive word of mouth take off orin this case being recommended to a friend. We believe that this move has significant potential and is certainly one to watch. What Mobile Heavyweight Suits You? So you have to buy a new PC but the old one has still got life in it and could be retire to the office if you had the flexibility to work on the go without needing glasses or extra large thumbs. What do you choose and why? The solution will almost certainly viewed differently by everyone. 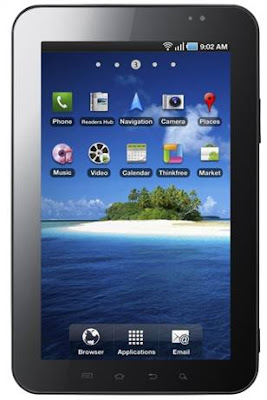 Today the UK’s largest supermarket placed the Samsung Galaxy Tablet on pre-order at £529. It is just 99p cheaper than the offer from Carphone Warehouse and Amazon. Will that turn your eye as it clearly is the best equipped tablet out today with that 7” form, Flash support and Androd 2.2 all of which Mr Jobs doesn’t like. It has twin cameras and phone capabilities and will start to make an impact on Monday, November 1st. If you want a tablet with legs look no further. HP have just announced more on its long awaited Slate tablet which to the surprise of many is to run on Windows 7 not Palm’s WebOS. Its only a surprise given the ticket HP paid this year for Palm and begs the questions why and where is it going? The price on the tin is $799and will weigh in at 700 grams, with a 8.9” 1024x600 screen and with not only no 3G connectivity but the unproven Windows 7 fanfare. However it does have some impressive feature such as an intuitive Wacom digitiser. If you want a high end netbook with touch screen and tablet form look no further. So what about the new updated 13.3” Mac Air or or its new 11.6” brother? Both come with no hard drives but instead use flash storage built into the motherboard. Both models are thinner being only some 0.68” max and tapering to just 0.11” some 0.10” less than previously. The same applies to weight with the 11.6” model weighing in at 2.3 pounds and the 13” one at 3 pounds. The Macbook Air has a full size keyboard and trackpad. The real difference is the flash storage which reduces weight, is more rebust gives more space for a bigger battery. The result is the claim from Apple that the 13” model can give some 7 hours and the 11.6” some 5 hours of battery life on a single charge. The flash storage also gives a near instant switch on and its claimed that you can leave the machines in standby mode for up to 30 days! The MacBook Air certainly is packed with many new and improved features and if you are a Mac man looking for that portable solution it will be hard to beat. The price of the 11.6” is £849 rising to £999 for the 128GB model, whilst 1.86 GHz 13” with 2GB of memory and 128GB of flash storage starts at £1,099.00 rising to £1349 for the 256GB model. Another interesting consideration is that of operating systems with mobile battles raging whilst the rest mainly divide between Mac and Windows. However Apple has now previewed its next major OS version called Mac OS X Lion and positioned it to arrive in summer 2011. 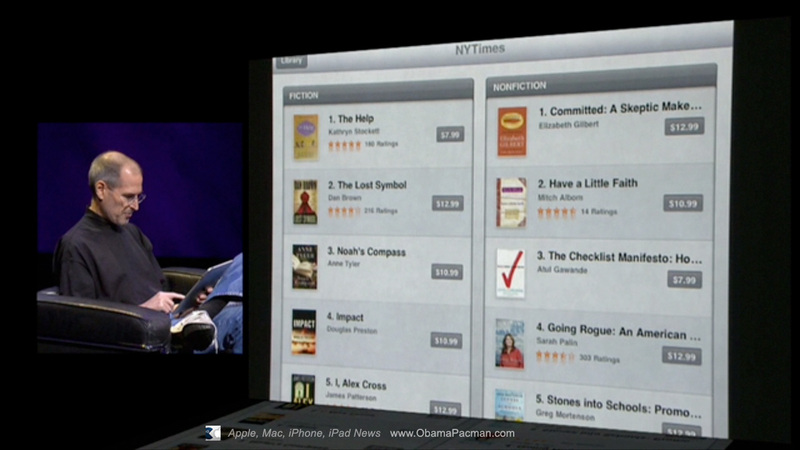 Jobs claims that Lion is about "Mac OS X meets the iPad." Lion will deliver a Mac App Store , similar to the App Store for the iPhone, iPod touch, and iPad. This will enable users to purchase and download apps as they do today with a one-click download and automatic updates. 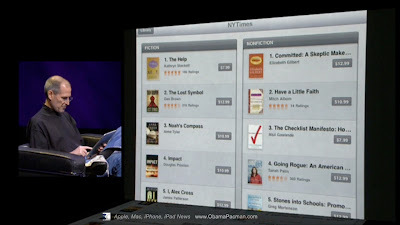 Apple now plans to open a Mac App store this year for use on Snow Leopard. So would you buy an iPad, a Galaxy, a slate or a new MacBook Air or something else? When Starbucks signed up Paul McCartney and others to release their latest albums through them, it was interesting and some would agrue it made sense. They then went on to their work with iTunes through Hear now. However,‘the latte to go’ company is now teaming up with Yahoo and aim to go one step further by adding free ebooks, movies news and entertainment to its in store Internet offer. It will also offer free access to sites, such as The Wall Street Journal that are currently behind pay walls. So is the coffee shop becoming a media retailer where previously media retailers have become coffee shops? This move is about redefining who the reseller is and who has the brand and eyeballs to capture sales. Its fair to say that tomorrow anyone anywhere can sell media and ebooks and where we see supermarkets today we could see anybody tomorrow. Who has the biggest captive audience and can they make a viable proposition tomorrow? The one reality is that the coffee market is getting crowed as more chains compete and fast food chains start to go after the same market. Starbucks WiFi is already attracting some 30 million logins a month, so extending its offer to their captive market makes commercial and loyalty building sense. Starbucks customers will be able to access the network via their smart phones, computer or tablets, as soon as they connect. A splash page presents the various options which include entertainment, wellness, business, careers, and "my neighbourhood." With partners such as iTunes, New York Times, USA Today, Zagat and advance book copies from publishers such as HarperCollins and Penguin, the aim is to create a compelling community portal. This by itself then becomes a pull to get customers to keep coming back and to build and extend the brand. Interestingly the content is designed to last as long as a cup of coffee and a muffin. Five to twenty minute content chunks are being sought to consume in house or they can buy the content and download it to go. The content in store can also be book marked such that it remembers where you left off next time you visit. Starbucks makes additional revenues on taking a share of all sales. So are coffee shops for socialising or for playing games, reading, watching movies and other more singular pursuits? Its an interesting concept but you may have to have a serious caffeine addition for it to seriously alter your lifestyle. We are pleased that the issue of free to lend from a public library, versus a fee to buy from a reseller has been brought out into the open today. This problem is one we have written about all year. The debate is long overdue but today’s Bookseller story ‘PA sets out restrictions on library e-book lending’ was quickly countered by a further one titled ‘Librarians worried by publisher e-book restrictions’ The stories cover the latest position adopted by the PA ( UK Publishers Association) at the CILIP Public Library Authorities conference in Leeds. Stephen Page, CEO Faber and Faber, announced the new guidelines, telling delegates that "all the major trade publishers have agreed to work with aggregators to make it possible for libraries to offer e-book lending". However, users would only be able download an ebook from within the library's physical premises and via a computer terminal. The plan would extend the fee paid by a library to buy a book and give them the right to loan one digital copy, to one individual at any given time. We believe bringing the issue to the table is both timely and correct, but question whether the decision was forged in consultation with the libraries, or came down the mountain on tablets of stone. The problem is far from solved by the PA’s plan as it tries to shoe horn tomorrow’s digital world into yesterday’s physical practices. We fully agree that it doesn’t make sense to expose the reseller to a free offer from the libraries that they can’t compete with. However, it is equally ludicrous to tie the libraries hands behind the backs and pretend that ebooks are no different to pbooks and place restrictions on them. We now find that, one day after the big spending cuts were announced that the PA has clearly got their own way of cutting back on libraries. Some may feel that this move makes a mockery of all the support the industry has recently given libraries. What is needed is a bit of common sense and above all communication between all parties. This move will almost kill off the public library as a digital lender and further hasten its demise within these austere times. It is impossible to understand the logic of why downloads have to be via a library terminal. Hello, hasn’t anyone at the PA worked out what WiFi and 3G is yet? This tethering of the ebook download to the physical library building and terminal makes no sense at all. Even the much derided Margret Hodge offered more sense than this. The answer is not easy but is not born out of a one sided perspective of life. 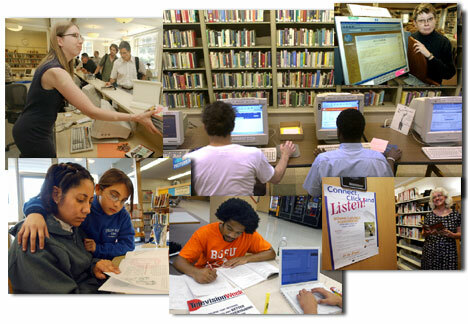 Tying individuals to local public libraries is not an issue, it is done in many countries and systems today. Access and authorisation can be governed by the library system so that registration is maintained and auditable. It doesn’t matter where anyone is, it only matters that they are authorised. The only potential issue is with respect to inter library loans which may have to be restricted for ebooks, or incur a further fee payable to the rights owner. We are moving towards an online mobile and 'rental on demand' world. So why not allow libraries to ‘rent out’ as opposed to ‘loan’ to their members and charge a rental fee for any download. We have operated such a system in Denmark for libraries and similar systems are being proposed in other countries. Does anyone look outside of the UK and other than the US? The download can be easily protected, restricted to a specific time window and copying prohibited. This would allow libraries to rent out anything to an authorised member, at anytime and they simply pay a fee for the service and availability over the internet. Title rents can be collated and even contribute to improving the PLR deal to the author. We realise that this a significant shift, which basically says pbooks are free in libraries and are restricted by the physical need for members to collect and return them, whilst digital ebooks offer added value and can be virtually rented, but for a fee. The beauty of the model is that is could also be offered to anyone including resellers, societies, institutions etc . Libraries then can use their communities and collective power to grow their service, whilst resellers and others can compete with online subscription and rental models as well as offering outright purchase of downloads. This may appear far fetched to many who believe that libraries must remain free. There may also be other issues that need to be addressed. However, it could actually enable libraries to coexist and grow membership within a new wider commercial digital environment. The question now is, whether all parties have the will to co-operate in order to find a solution that works for all. The complaint was against ‘publishers’ and was in danger of tarnishing all with the same brush. Ruth Allen was rightly annoyed to discover that a $15 Print on demand book in the US which she claims was a copy of four of her articles, which were largely her work and made freely available over Wikipedia under their Creative Commons licensing copyright agreement. She objects to her altruism being used by others for profit but as we were unable to find the material under her name on Wikipedia, it is almost impossible for us to validate her claims. 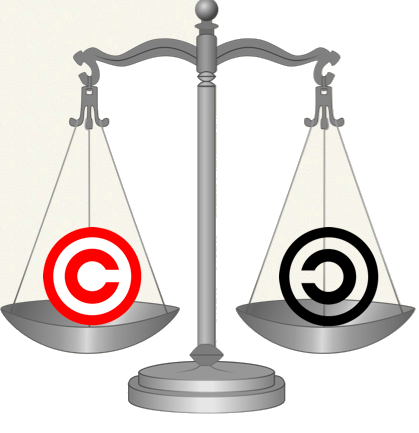 We fully support Creative Commons licensing and its fair use, but respect that its unfair usage may be difficult to control in this digital age where exploitation is merely a click, or a short ‘low risk’ print run away. We recently discovered a more traditional book work that had been republished as a print on demand rendition by its publisher, even though the contract did not permit that, reversal conditions had been met and the request for a reversal had been ignored. We only discovered the infringement by accident and the situation has been now resolved. The question is, how much infringement is now creeping back under the print on demand long tail. We wonder if we will all be spending more and more time monitoring and searching for infringements in the future, with more and more take down notices being issued retrospectively. The Scribd and Wattpad platforms have demonstrated how easy it is for some to infringe and also how difficult it is for all to proactively manage content. In addition to the online threat we also now have a growing print on demand environment which itself is creating ‘low risk’ opportunities to publish first at little risk and be dammed. We now talk about term licensing of digital rights but who will know when the term has expired? We openly dispute to volume of orphan works out there with the numbers often varying according to the position taken on their adoption. It is becoming easier to scan and copy books and torrent sharing is here today. There has always been serious book piracy, it is not new but just getting easier. At what level is government subsidy in the arts acceptable and where is the line? The protesters current demonstrating in France against the French government austerity measures and raising the of the pension age must be somewhat perplexed to hear that the government plans to state-subsidise the buying of music! The plan is an attempt to convince young people that it is better buy music rather than ‘steal’ by file-sharing and involves selling pre-paid cards with a face value of 50 euros at a cost 25 euros. The French government will stump up the difference and estimates that over two years the plan will cost about 25 million euros and result in the purchase of some one million cards. Restrictions will apply in that consumers will be limited to one card each per year and music download sites will be asked to cut the price of downloads, extend subscription periods and contribute towards the marketing campaign for the cards. Individual sites will only be allowed to receive a maximum of 5m euros from the scheme. The European Commission has approved the plan and said that it would not be anti-competitive. Is it any different to the UK subsidy of arts such as the opera? Government already spend hard cash to support reading, libraries, schools and PLR (Public Lending Rights payments to authors) so is this any different? It appears anything Barnes and Noble can do so following B&N’s launch of PubIt, Borders follows them into the self-publishing beauty contest and joins the likes of others such as Amazon, Lulu and Smashwords with their new Borders Get Published program for eBooks. The program will be driven by the BookBrewer publishing platform. However it wasn’t clear to us on visiting the site exactly what you got and the quality of the delivery. With time this could improve bit today it looks like a rush job to join the party and the wording certainly would not instil confidence if we were to want to self publish. Below is a letter from the Kindle team in the UK to their staff. Its a pity its not taken as an advert page in the broadsheets as it clearly states the case from the consumer perspective and that is a hard one to argue against. The case for mid and back list authors would be just as compelling. Recently, you may have heard that a small group of UK publishers will require booksellers to adopt an "agency model" for selling e-books. Under this model, publishers set the consumer price for each e-book and require any bookseller to sell at that price. This is unlike the traditional wholesale model that's been in place for decades, where booksellers set consumer prices. It is indeed correct that this group of publishers will require Amazon and other UK booksellers to accept an agency model for e-books. We believe they will raise prices on e-books for consumers almost across the board. For a number of reasons, we think this is a damaging approach for readers, authors, booksellers and publishers alike. As we're now faced with a similar situation in the UK, we wanted to share our thinking and some details about what we have observed from our experience in the US. First, as we feared, the US agency publishers (Hachette, HarperCollins, Macmillan, Penguin, and Simon & Schuster) raised digital book prices almost across the board. These price increases were not only on new books, but on older, "backlist" books as well (in the industry, "backlist" books are often defined as books that have been published more than a year ago). Based on our experience as a bookseller setting consumer prices for many years, we know that these increases have not only frustrated readers, but have caused booksellers, publishers and authors alike to lose sales. There is some good news to report. Publishing is not a monolithic industry - there are many publishers of all sizes taking a wide range of approaches to e-books. And most publishers in the US have continued to sell e-books to us and other booksellers under traditional wholesale terms. They make up the vast majority of our Kindle bookstore - as a simple proxy, in our US store 79 of 107 New York Times bestsellers are priced at $9.99 (£6.31 GBP) or less, and across the whole US store over 585,000 of 718,000 US titles are priced at $9.99 or less. Unsurprisingly, when prices went up on agency-priced books, sales immediately shifted away from agency publishers and towards the rest of our store. In fact, since agency prices went into effect on some e-books in the US, unit sales of books priced under the agency model have slowed to nearly half the rate of growth of the rest of Kindle book sales. This is a significant difference, as the growth of the total Kindle business has been substantial - up to the end of September, we've sold more than three times as many Kindle books in 2010 as we did up to the end of September in 2009. And in the US, Kindle editions now outsell hardcover editions, even while our hardcover business is growing. In the UK, we will continue to fight against higher prices for e-books, and have been urging publishers considering agency not to needlessly impose price increases on consumers. In any case, we expect UK customers to enjoy low prices on the vast majority of titles we sell, and if faced with a small group of higher-priced agency titles, they will then decide for themselves how much they are willing to pay for e-books, and vote with their purchases. Verizon Wireless have announced that they will preload Amazon.com's free Kindle ereader application across Android smartphones. This will include Motorola's Droid 2 and the Samsung Fascinate. Kindle for Android is already available via Google's Android Market but this move signals a that the battle to get software preloaded on devices is getting hotter and follows similar moves by Amazon’s smaller competitor Kobo. The move also starts to add further beef to the Android offer over Apple. What is clear is that Apple’s venture into ebooks and their iBookstore may yet prove as shallow as Sony’s bookstore in its offer and a mere side game as the battle moves onto a clear multi platform and any device war. We wonder whether someone will now take the bold step and buy Kobo and whether that would be to develop it or effectively take it out? So which countries would you expect to be top of the social network usage and who would you expect to have the greatest number of friends? What do believe will be the result of mass adoption of social networking on our trading relationships and communications? Reseach firm TNS has interviewed 50,000 consumers in 46 countries and drawn some interesting findings. They found that Malaysian users have the highest average number of friends (233) and also spend the most time on average per week on social networks, some 9 hours. In Russian, users spend an average 8.1 hours per week online and Turkey some 7.7 hours a week on social networks. The average number of friends second place goes to Brazil (231) followed by Norway(217) and at the other end of the table we find Japanese users with just 29 and China with 68. however, it not clear whether the different cultures lead some to have fewer, but closer friendships, whilst others have wider and open ones which embrace more friendships. The research concluded that for some 61% of the online population around the world, digital sources are now overtaking TV, radio and newspapers as the media channel of choice. This clear presents a great opportunity for some but also a significant shift in behaviour and potential to move into an ‘on demand’ culture. 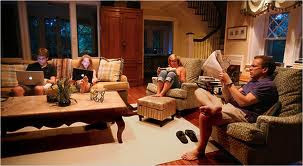 The study also found that consumers now spend more time on social networking sites, than even using e-mail. The trend is also to access social networks via mobiles with a third of US online users expect to be accessing social networks via their mobiles in the next year and with the increasing to 50% in Sweden. Finally, the study also claims that 80% of users in China, compared to 32% in the US, have written their own blog. Whatever the specific findings, the research clearly demonstrates the impact that social networks are having globally and how they are changing how and who we communicate with. 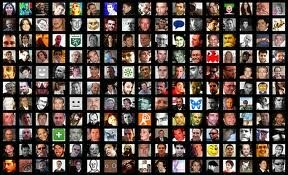 Building social communities is becoming big business and many are embracing it as the way to communicate on line. However for business to adopt, they have to recognise that it may take more effort to maintain relationships and that they are potentially going to be far more demanding than even email. 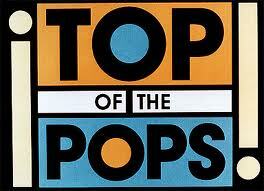 Amazon's Kindle Singles to be Top of the Pops? We have long argued that the world of the short story is suited to the digital form and that we should break out of the ‘250 page’ straight jacket that has for so long restricted writers. Now enter Amaazon again to show the way and offer a home for works of a short nature. Does it matter if the work is 10,000, 30,000 or 75,000 words? Amazon has the common sense to realise that 30 to 90 pages may well be perfect for a digital read. So offering writing by instalments as well as accommodating short stories. "Kindle Singles” will have their own Kindle Store section and be priced very attractively to generate interest and readers. Now comes the challenge of attracting not just would be writers but also established writers, thinkers, icons, leaders, historians to make the singles a place to be seen and read. Combining Amazon’s platform, their channel and ability to sell volume and a novel short story idea sounds a winner. Amazon weren’t the first internet bookstore they were the 14th but were the first to get the service proposition right. 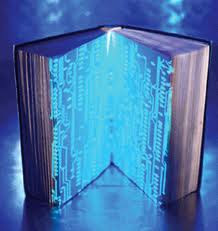 Today they may not be the first to start digital short stories but they have all the ingredients to get this right too. Windows Phone 7: Glance and Glare? In April 2007 Steve Ballmer, Microsoft's chief executive, said of the the iPhone that it was "the most expensive phone in the world" and that it "doesn't appeal to business customers". He said that it had "no chance" of gaining significant market share. Although Microsoft still dominates office and consumer PC markets it has surrendered much in the mobile marketplace in the past three years. 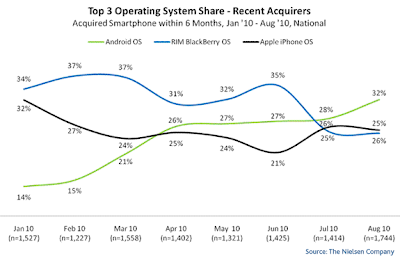 History proved Ballmer wrong and whilst Microsoft now has single digit market share, Apple now have significant market share and being potentially overtaken by Google and their Android platform. It now faces a different market and business models where the likes of Nokia, RIM and Apple, are all developing both the software and the hardware,of which the hardware is the most profitable,and with Google’s Android platform, driving searches and selling mobile ads. Microsoft is now going to charge a license fee to manufactures and wanting the search and ad revenues. Microsoft has also adopted a different approach to others by creating Windows Phone 7 for small-screen devices such as smartphones and continuing to adapt its new PC operating system, Windows 7, for tablets. This approach is at odds to Apple's, whose iPad uses the same iOS core as the iPhone, Android, which has already ported to tablets such as the Samsung Galaxy and even RIM, whose new tablet will use a new operating system that is then expected to run its BlackBerry phones in the future. One side will argue that the tablet demands a computer orientated operating system, others that they miss the point of the word mobile. Whatever the position adopted it is hard to see everyone changing to adopt the Microsoft approach, so it may be a valid position, but no necessarily the winning one. Six handsets will be available to preorder in the UK next week with Samsung, HTC, LG and Dell all being hardware launch partners for the Windows Phone 7 and Vodafone, O2, T-Mobile and Orange all committed to carrying them. 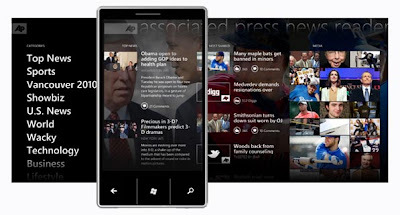 Microsoft has kept a tight rein on the user presentation and set up under Windows Phone 7. Applications are grouped under six Tiles and within a tile the user can scroll up and down through a list of options or entries. The Games Hub links in with the Xbox Live service. The Zune, Office and Bing Search Hubs are aligned to their existing bigger brothers. Automatic over-the-air syncing with a home, or office wi-fi setup, will allow the phone to synchronise content. So what about that "app store". Today, Microsoft are forcing those who worked on their previous generation of Windows Mobile phones to rewrite them, but this may be inevitable given the scope of change? The move however is likely to please Silverlight and .Net developers, but may not please others who use different tools. They are still likely to see a significant number of apps being developed and the questions then become how many times does a developer have to cut code to support all the various platforms and will the consumers take to them? Once it would be hard not to see Microsoft winning and being successful, but today it is often the reverse and their once dominant position is continually being eroded and their judgement found wanting. 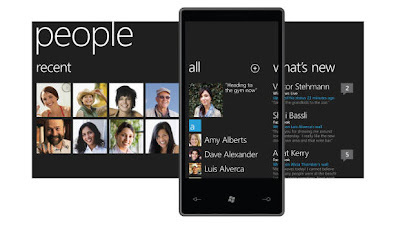 Will Windows Phone 7 succeed, or will the premise that 'phones are different' be its downfall? We offer five insights into tomorrows world we believe should be considered in any digital publishing strategy. Many are still grappling with digital downloads and the various interpretations of epub standards, the myriad of ereader devices and how to price and sell digital titles. However when we look at other media markets we can already see a shift from download to streamed content or content on demand, from ownership to rental or subscription. Spotify and Pandora are changing music from buying tracks to renting music on demand. Video and TV is no different and here the shift is from schedules to viewing on demand. 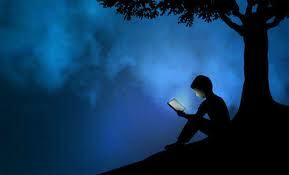 Some think that books are different but why buy and download when the elibrary is effectively in the cloud? Why download when your GPS can already restrict what you can and can’t read? Why buy a file that is free from any armchair via your local library? Online technology is now accessible 24x7 and as already proven, your latest read can be cached for continued enjoyment offline and can also be platform supported and not device dependant. Today our views, interests and cultural awareness is restricted by what we can find and access, how we access it, what we can do with it and how we use it. Interestingly, we are shaped more by what we don’t know, than by what we do know.Media is a classic example of where the technology and cultural restriction to information and content can narrow our perspective and thereby who we are. Someone who grew up in the 50s did not have the access to the rich variety of music that existed then. Their taste was dictated by what and who they knew and could hear. Today, we all have access to just about every conceivable genre, taste and also every manifestation of any work every produced. This opportunity has been created by technology. However, the way in which we discover, access, experience and form opinions on music is varied and often haphazard. As a result everyone’s taste is more eclectic and the music industry now has to support a rich variety of taste. Genre and sub genre are still important but people expect access to a width and depth of range of music. Merely expecting to sell front list titles forever maybe the quickest form of suicide we can think of. The most successful reading device to date, the book, is truly mobile. The future may not be what we have in our pocket today but it will be what we have in our pockets tomorrow. User intuitive interfaces, micro technology and a different approach to mobile are going to shape the devices we will use. Th one thing that is certain is that we will not be tethered to anywhere or anytime. Digital reading will happen just as mobile email, wireless connectivity and digital music, games and video have all happened. The key is mobility. Today we take our phones everywhere and they are switched on 24X7. They go to the beach, in the car, on the underground and as they develop, must become our primary interface to everything. Books are not excluded merely waiting to happen. We have ready seen the entry of the technology omnivores and they aren’t going away. What is clearly happening is that the economies of digital scope and size are introducing new entrants who care less about books and more about selling devices, advertising, bandwidth and promoting their own brand. They only respect the existing channels if they support their brand and its they who own the transactions, the customer, the information and its their name on the tin. We have long argued that there is only two people that matter, the author who creates value and the consumer who pays for it. Everyone in between has to earn their place and add value. This is changing the role of agents, publishers, service providers, distributors, wholesalers, bibliographic and secondary publishers, marketers, booksellers and librarians. We were just pointed to ‘something interesting’ at business insider and clicked to watch 'the future of the book' as viewed by design and innovation consulting firm IEDO. The idea is based on exploiting technology in three conceptual ways which are supposed to turn us on as readers and make reading compelling. Unfortunately it begs the question as to whether the guys behind the idea; read, have read and if they have read, what they have read. Concept 1: Nelson. This feature makes immersive reading redundant and introduces layers of parrelel materials, discussions and media coverage. So may be ok for reference material but absolutely redundant with fictional materials. Who is going to create the ancillary material, what rights are attached to what content and where’s the money for the extra layers of costs. Concept 2: Coupland. Which creates interactive social groupings , book clubs, reading assignments, galleries. Fine and some valid things here but who organises and why reinvent what works today- facebook. 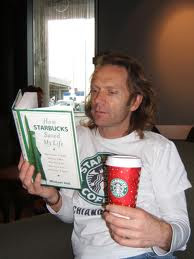 People are ecletic in their reading and lifestyles and it is questionable whether this ‘me too’ reading focus actually does anything about selling books which are a click away at Amazon. Concept 3: Alice.Which goes further than Nelson and was obviously invented by a gamer. Here the reader can unlock hidden chapters, communicate with characters, and even contribute content in a co-operative or collaborative model. But what about moral rights and the cost of development to the return and why not just invent the game in the first place. We hope the extended media people aren’t taking us all down the old CDRom days where many ‘exciting’ ventures burnt many naïve fingers. Judge for yourselves. There are some interesting points but its not hard to guess which we voted on their poll. A CEO ask us what we felt was different at this years Frankfurt Book Fair. Was it 2010, or 2007 and who could tell in many cases? 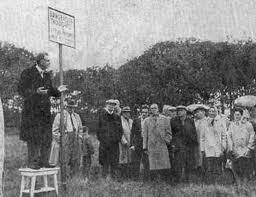 His question was prompted by the what he perceived to be the same people, sitting on the same chairs, on the same stands and it was clear to him that many stands had been refurbished this year. Who says publishing is conservative? Was it after all, a ‘groundhog day’? We did see a couple of new mezzanine sanctuaries build into the sky in Hall 8. Where these built to hide those quiet and intimate conversations from the floor, make the visitor climb the stairs to the top and feel grateful, or like the towers in San Gimignano, erected to show off one’s wealth. We attended a few of the new 'hot spot' sessions but felt uncomfortable with everyone. Were these meant to be like speakers corner , or a street market where the speaker cries out with passion and conviction and demands a connection with the audience. We didn’t think so and found the acoustics often poor and speakers either trying too hard or not at all. The panel sessions were as good as the panel and the questions but didn’t work for us. One panel session even had more on the panel than in the audience! The difficult thing we found was that once you sat on those cardboard boxes and the presentation started it was hard to get up and walk away as the speakers was only a few feet away and desperate to keep your attention. We felt that they somehow lacked that two way dialogue and rapport that is needed in such an intimate setting and this is not down to setting but speakers. It was like having a super group electric rock band playing in your front room in front of the family whilst grandma knitted away in the corner. Following the lesson of this year’s London Book Fair we deliberately avoided the usual wall to wall ‘speed dating’ full diary of wall to wall meetings. We actually left gaps in our diary and were pleasantly surprised that it worked and we met up with everyone we need to plus others and were not waiting for the bell every 30 minutes and that manic rush to the next table. Nielsen says Android was the most popular OS on smartphones in the first half of the year and Apple and RIM were in a "statistical dead heat for second place." Barnes and Noble booksellers released their PubIt platform, which allows authors to self-publish ebooks titles to sell on their site. Barnes and Noble is a publisher as well as a bookseller and long before it acquired Sterling it had a very successful reprint and packaging operation. Now it has ventured into the self publishing market with its PubIt service. The service allows authors and publishers to upload their ebooks for sale on the Barnes and Noble website. Obviously others such as Amazon have long recognised this opportunity and even struck exclusive channel deals on it. PubIt, enables an author to register, upload their ebooks and book covers, and name their price within minutes. Authors receive 65 percent of any title that is priced between $2.98 and $10.00 and for titles priced below or above this band, royalties are reduced to 40 percent. This approach promotes the author to offer titles below $10 and above the free or very low pricing which could impact everyone’s revenues. I novel and clever approach to pricing that others could ;learn from. The split may not be as lucrative as Apple or Amazon's 70/30 split but if its not exclusive does that really matter? In another move others could once again learn from authors can log in to PubIt and once their title is live, can track their sales. This removes the mystic of what is selling or not and gives the author power to react accordingly and even monitor any promotional activity. Authors can upload their books from Microsoft Word, or RTF, TXT, or HTML. 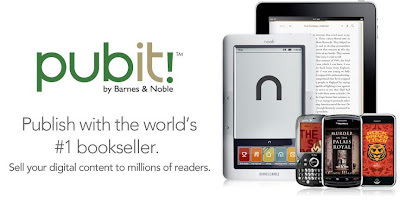 The PubIt tool then converts the file for use on Barnes and Noble's Nook ebook reader. PubIt can now be offered across Barnes and Noble’s entire family of NOOK products and software, including NOOK eBook Readers, third-party eBook Readers powered by the Barnes & Noble eBookstore, and NOOK software-enabled iPad, iPhone, iPod touch, Android smartphones, and Windows-based PCs, laptops or netbooks. Barnes and Noble can also monitor the winners and have the obvious opportunity to respond and negotiate with the author to turn these into POD or even full print runs for their stores. Now if you are a mid or back list author why wouldn’t you revert your rights and and ensure you control your royalties to these major channels and outside of the traditional self publishing one. Microsoft has filed a patent infringement law suit against Motorola, claiming that its Android-based handsets violate its patents it holds covering office functions. However is the gauntlet really against Google and their Android system on the launch of Windows 7? Android proved to be very successful and clearly is capable of overtaking Apple's iOS operating system so is a clear threat to Windows 7. 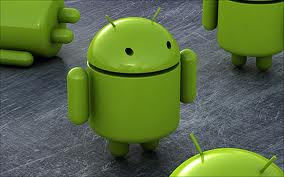 Apple has also launched a suit against phone maker HTC claiming that its Android handsets violated some of its patents. HTC has issued a counter-claim, saying that Apple's technology infringes HTC patents. In addition Oracle has sued Google this year, claiming that Android infringes patents it holds in the Java technology it acquired from Sun Microsystems last year. Microsoft has filed its claim with the US District Court for the Western District of Washington and the International Trade Commission. The claim covers nine that relate to a range of functionality embodied in Motorola’s Android smartphones and include the synchronizing email, calendars and contacts, scheduling meetings, and notifying applications of changes in signal strength and battery power. Well on that count virtually every smartphone is guilty and why Android and why now is the obvious question? Last week Apple even claimed ownership of the word POD and failed to recognise what everyone else knew. The litigation and counter litigation culture is fast becoming a joke within the market and even those of us who believe in patents and copyright question whether the system is now being played and the only winners are the lawyers. We all thought that RIM had done a deal with the Indian government so it could retain its highly lucrative Indian market. We now learn that the problem is back and RIM continue to be involved in a no win situation. According to the Economic Times site the Indian government has apparently been unable to intercept BlackBerry service communications and was the issue that brought it close to closure in India back in August. In August the Indian Department of Telecommunications gave RIM until the end of October to satisfy its demands to provide access to encrypted services the Indian government required to combat terrorist attacks and other criminal activities. RIM remains optimistic of a positive outcome but if one isn’t found then RIM could face a critical dilemma where on one hand they could bleed customers or on the other they bleed India and one of its fastest-growing markets. So its dammed if you do and dammed if you don’t RIM. 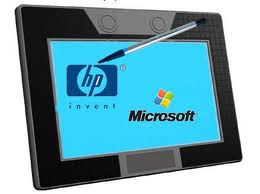 Off the Peg or a Designer Tablet Sir? Ok would you buy a tablet from a High Street fashion retailer? Would you buy one from a cheap reseller? 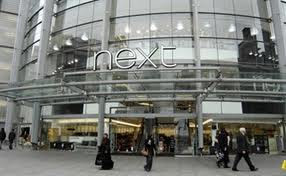 Next the UK apparel retailer is now offering a 10in Android 2.1 tablet for £180. It comes with 8GB of Flash storage, a 1024 x 600screen, 1GHz ARM processor, 802.11b/g Wi-Fi connectivity, USB ports , a Micro SD card slot, and a headphone socket. So why and how are the obvious questions? Why is simple, why not when you have a strong retail presence a mail order arm and already sell much more than just clothes? How is also simple, in that it is just a rebadged of a far eat model, so is low risk and just a case of shifting the units. There will be a number of cheap and cheerful tablet offers in the lead up to Christmas and although the Next offer appears to be not so cheap and cheerful we think that it will not be alone for long. It is somewhat ironic when LG announce the delay in their tablet so they can focus on their smartphone and more lucrative offer to compete with the iPhone that we have others wanting to have a slice of the tablet market. The question is whether customers want to buy a Next tablet 'off the peg' or would prefer a designer label Apple iPad, or a higher specification and practical Dell Streak or Samsung Galaxy, or a corporate BlackPad? Where's the Value Chain in Agency Pricing? To some the agency model appears to be the way forward and the answer to discounting of ebooks. To others it seems to not only like a step backwards towards fixed price maintenance, but similar to the boy sticking his finger into the dam and hoping it will stop the flood. This week came an interesting piece from the Doris Booth, Editor in Chief of Authorlink titled ‘Publishers’ Agency Model Punishes Mid-List Authors’ and we recommend it be read, irrespective of your persuasion. Booth has a witty take on the conversations that may have happened between the publisher and reseller and also points out the flaw in Macmillan CEO, John Sargent’s public defence of his actions from a mid list author’s prespective. Many analyse the maths and conclude their perspective is correct. It is hard to argue with maths, but we first must agree on the common figures which are to be manipulated and there we often unfortunately loose the will to live. We however take a very simplistic ‘value chain’ approach that views, the author putting value in at one end and the consumer putting cash in at the other. Everyone in between has to add value and justify the cash they take out, or their place in the chain. There is no divine right to exist and no matter who you are, you have to earn your place between the author and reader. In free markets competition is healthy and although it often drives down prices and rewards this keeps everyone on their toes and ensures the consumer gets a competitive price. A fixed price market often creates pockets of fat and can result in a poor deal for those that count, the creator and the consumer, whilst making a guaranteed deal for those that should be striving to add value. It is interesting that the agency model was introduced with Apple iBookstore and introduced contractual price fixing on ebooks and a simple way for them to calculate revenues. Why are physical books different why isn’t price fixing introduced to these and why is the consumer subjected to false regulation in one format and not in another? Some believe the agency model creates a level playing field for all resellers. The reality is that the only level playing field is between the giant technology companies and resellers. The rest could be said the be wearing very unattractive one piece swimming costumes in a beauty contest competing with a bikini clad Amazonian. Guess who wins that contest? The agency model like the Google Book Settlement before it appears to being force on the industry by some who some would say know best. However just like these other leaps into the dark it appears to be ill conceived and now faces review by two state Attorney Generals. Also there are tax collection issues and the need for retail pricing strategies that are often foreign to publishers. It has already been adopted by a number of large publishers and resellers, but the issues surrounding the new agency pricing may be far from over. As the Irish Streetview went live the Irish Times quickly found two lads showing some bare faced cheek to the camera.The Irish Times pic shows the boys in unedited, while Google Streetview has now fogged over the unwelcome parts! So who will adopt ebooks as their main source of reading and will they become exclusive ereaders, or will people adopt a different approach according to type of book? This week we have two interesting perspectives. One from The Technology Review MIT ( Massachusetts Institute of Technology) which offers some thoughts in their article ‘The Death of the Book has Been Greatly Exaggerated’. The second from a survey by Scholastic, who surveyed over 2,000 children ages 6 to 17, and their parents for their report 'Reading Books in the Digital Age'. The year 2015 is fast becoming the 'Nostradamus Year' of the book. We ourselves have even have predicted that 20 to 25% of market share will be digital by then and that some sectors will be ‘digital’. Others have been more outspoken, saying that the figure will be more like 50% and some even predict that the death of the book we knew and grew up with will be sooner. The MIT article talks of a ‘peak of inflated expectations’, which will move to a ‘trough of disillusionment’ before it grows back, through a ‘slope of enlightenment’, to a ‘plateau of productivity’. They question the disparity between actual sales statistics and claims from the likes of Amazon that ebooks are outselling hard-cover books and that they own some 80% of today’s world's ebook market. It is an interesting argument and when we step back and look at music and video, we saw a migration that was in many ways forced by technology change. Once the music producers moved onto the next platform, the old one died and we all either converted our collections, or reinvested. Books are different we don’t see a mass burning of the old books to make way for the new. The eBook still has to be created by a manufacturer and digital conversion is not yet a DIY offer. The old technology isn’t going away and the market is too vast in terms of works and players and unlike many media sectors, isn’t controlled by a few. MIT state that old books are not going away. We currently live in a front list world but is that a false world manufactured by publishers or real one responding to consumer demand? Does the reader instantly turn to the publication page and check the book is new – we think not. So when many more works become available digitally will these capture our interest at the expense of the front list and book of the month? MIT recognise that publishers have ‘largely made it impossible, or at least difficult, to loan, trade or re-sell ebooks, for fear of piracy’. This is a major shift in consumer behaviour and is ignored at our peril. Its ironic that a time we talk about reading groups, lending books to friends and general sharing of a good books, we stop it with one fell swoop with DRM. As Christmas approaches just how easy is it to buy a ebook as a gift? As you would expect, the Scholastic report found that the older kids (57%) spend more of their leisure time online and with their gadgets rather than reading books for pleasure, but a third said that they would read more books for fun if they had access to ebooks on an electronic device. However, two-thirds said that they would not want to give up their traditional print books. So is it access to ebooks, or access to the books by a specific device that is the block, or do we have a case of a child's intent being disconnected from their action? Parents are key to providing the devices and encouraging their use, but the report finds that most parents believe that electronic devices take away from time their kids spend reading, being physical, and engaging with family. Also if the parents themselves aren’t users then they are not going to be committed to promoting the devices.The report found only some 6% had a device and only 16% have plans to buy one. Finally we must accept that readers look for different things from different works according to what they want form them and the role they are playing at the time. A student will want and use a textbook differently from their teacher, who will use it differently again to the researcher. Again we don’t just read one genre of books but are often very eclectic in our reading. The problem is that these huge differences in need are ignored by many who see just books and assume that all are the same.